← Stack the Countries now available on Google Play! I’m very happy to announce the release of my latest educational app, Tower Math! 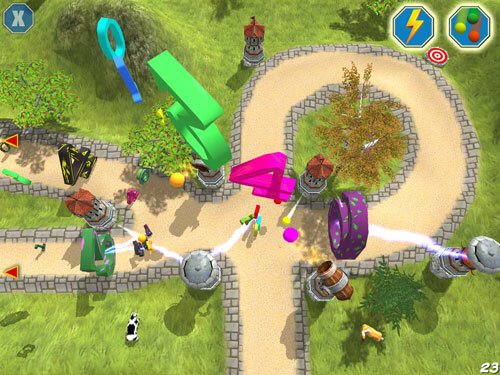 It’s a fun combination of tower defense gameplay and arithmetic. Tower Math is my first 3D app and I look forward to making many more in the future. Tower math is a fast-paced educational app that makes practicing math fun! I hope you enjoy Tower Math and please be sure to tell your friends about it! This entry was posted in Games, Tower Math. Bookmark the permalink.